Cosy, comfortable and cosmopolitan, the Vivo 2 Seater Sofa ticks all the boxes when it comes to comfortable seating and is the ideal addition to your lounge, kitchen or even your conservatory! 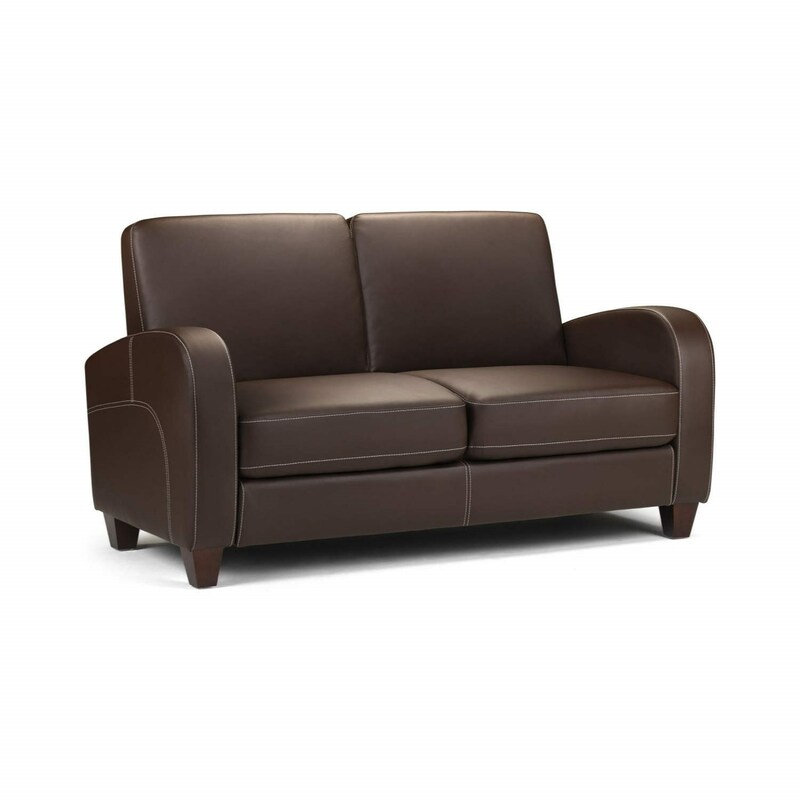 With a retro inspired design the Vivo sofa has a relaxed, spacious shape. Designed to comfortably sit two. A fairly compact design with no chunky pieces enables the Vivo sofa to fit perfectly in to many spaces. Faux leather is very easy to maintain. With such a smooth surface all the Vivo needs is a wipe down with a damp cloth. Arriving in two sections for convenience, minimal assembly is required for the Vivo. Easy to follow assembly instructions show you how to screw your two sections together. All the parts and pieces are included so you won’t even need your own screw driver!Dont just take our word for it though, we have added a copy of the assembly instructions here, so that you can see for yourself! Question from H PARKER: Asked on 11/08/2014 JULIAN BOWEN VIVO 2 SEATER : can you tell me what the dimensions of this item is and also are the seat cushions fitted or removeable? Regards. Question from Ian: Asked on 08/04/2014 Does this meet fire regulations for rental properties?